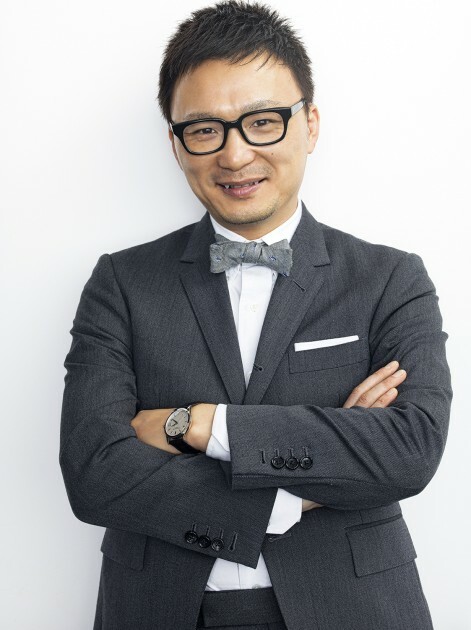 Yasuharu Ishikawa is regarded as the next leader in the Japanese fashion retailing industry after Uniqlo’s founder Tadashi Yanai. He started his business at the age of 23 and is now the CEO of Stripe International Inc. He is also the founder and President of Ishikawa Foundation which aims to revitalize Okayama through conceptual art from around the world. Last year, along with the support from Okayama city and prefecture, he started the Okayama Art Summit 2016 in his hometown. Larry’s List writer Yuri Yureeka Yasuda spoke to Yasuharu Ishikawa, who shared how On Kawara turned him into an art collector, how the city of Okayama is a miracle, as well as his ambition to build the most influential conceptual art museum in the world. When did you start collecting art? What made you start collecting? Why contemporary art? My initial encounter with art must have been when I was an average 6-year-old visiting the Ohara Museum in my hometown of Okayama, Japan. It houses works by Picasso and Monet but as a child, you can imagine that it didn’t resonate much to me back then. Flash forward two decades or so, I opened a clothing select store called CROSS when I was 23. I was selling import brands such as Vivienne Westwood, Alexander McQueen. And as a buyer, I would make business trips to London and Paris. It was during these trips that I visited museums such as the Tate and Centre Pompidou. This is how I discovered the world of conceptual art. When I was 24, I visited Benesse Art Site Naoshima in Setouchi. Here, I came across Japanese contemporary art and the unique approach this island had with site-specific installations in nature. It was eye-opening. Now that I think about it, those two years were key in exposing myself to art. The stance and approach as a viewer vs collector are different but what were the motives behind shifting to become a collector? Around 6 years ago in 2011, a Japanese gallerist, who then became my art advisor approached me saying that On Kawara’s work was going to be on sale. It was a set of 12 paintings from January-December. Already known to be a very valuable work, the gallerist confessed, “if this set of 12 paintings were to go to a foreign collector, it will never return to Japan.” Learning that the complete series was extremely rare, something in me was stirred. And at that moment, I shifted from being a passive art viewer to an active collector. On Kawara was still alive at that time and I genuinely am grateful that I was able to purchase his work. His date painting is a spectacular art piece. After purchasing the first series, 6 years have passed and I currently own a total of 180 artworks in my collection. The timing was good. As a 46-year-old entrepreneur with a thriving empire that Stripe International had grown into, I could now start focusing into different areas. I felt a need to engage outside of the corporate world, and become a patron in order to spread culture to a wider audience. My concept is focusing on and supporting living, active artists. When I purchase art, I look predominantly at works coming from the primary market. Pierre Huyghe, Untitled, 2012. Collection of Ishikawa Foundation. Supported by Yamada Bee Farm Corporation. Courtesy of the artist and Esther Schipper, Berlin. © Okayama Art Summit 2016. Photo: Yasushi Ichikawa. Where do you store/display these artworks? Many are kept in storage and a handful of the collection is displayed in my office as you can see. On Kawara’s artwork is in Tokyo on loan to the National Museum of Modern Art. Until July 2017, there is an exhibition of Ryan Gander at the National Museum of Modern Art, Osaka. We loaned around 10-12 artworks to this exhibition. Do you often loan your artworks to museum institutions and the public? Yes I do. Last year in my hometown Okayama, we held the first Okayama Art Summit 2016 for 2 months in October and November. 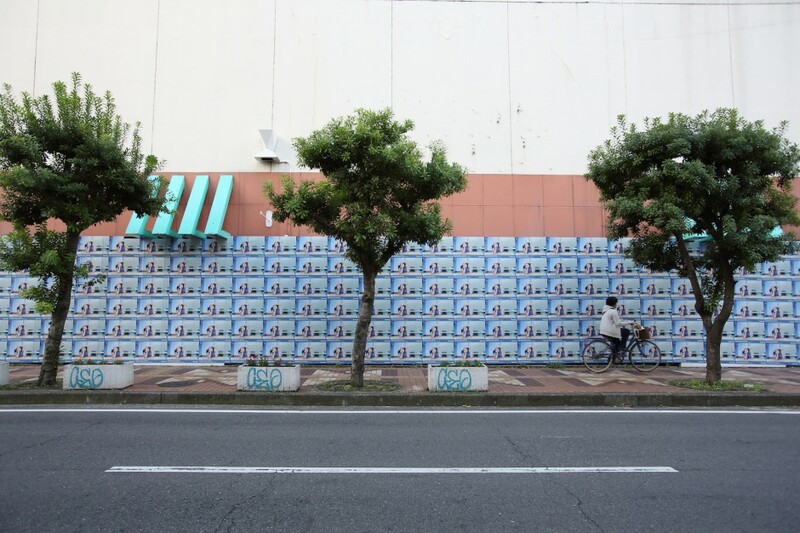 At this summit, we loaned around 20 from the Ishikawa Collection out of 50 artworks exhibited at the summit, and displayed it all over the city. As it is a triennial summit, the next one will be held in 2019 and I’m already very excited. Philippe Parreno, With a Rhythmic Instinction to be Able to Travel Beyond Existing Forces of Life (Green, Rule #1), 2014. Collection of Ishikawa Foundation. Courtesy of the artist and Esther Schipper, Berlin. © Okayama Art Summit 2016. Photo: Yasushi Ichikawa. 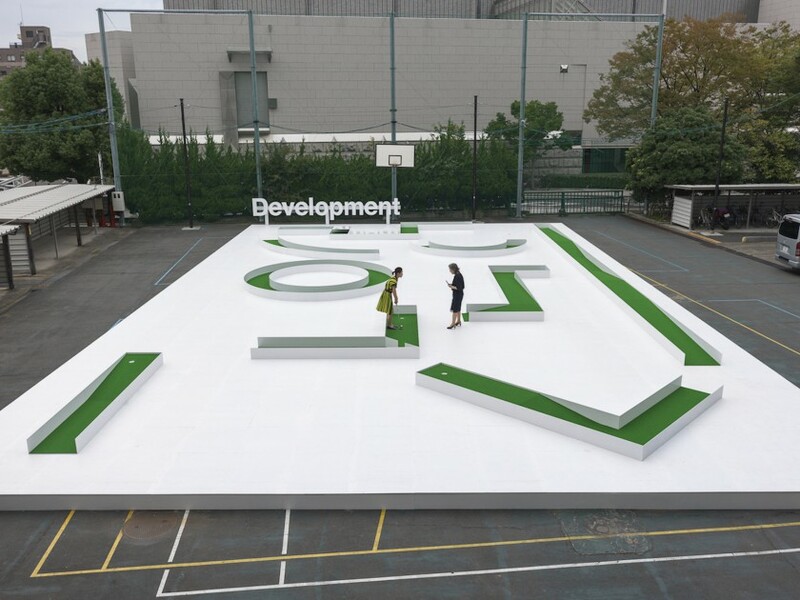 The theme for last year’s art summit was “development”. What were your thoughts on it? It turned out very well. We appointed artist, Liam Gillick, as the artistic director. By doing so, we were able to attract artists, collectors, curators and critics, gallerists, friends and supporters. We collected artworks from 31 different countries, transforming the city into an eclectic art destination. 230,000 visitors came to the event. It brought a positive economic effect of over 2 billion JPY to Okayama prefecture. In addition, elementary school students came as part of their educational program to observe the conceptual art. The kids absolutely loved this, which was moving to witness. The success was also due to the summit’s location. Since the access isn’t as complicated as Naoshima. Okayama is directly reachable by both shinkansen and airplane. 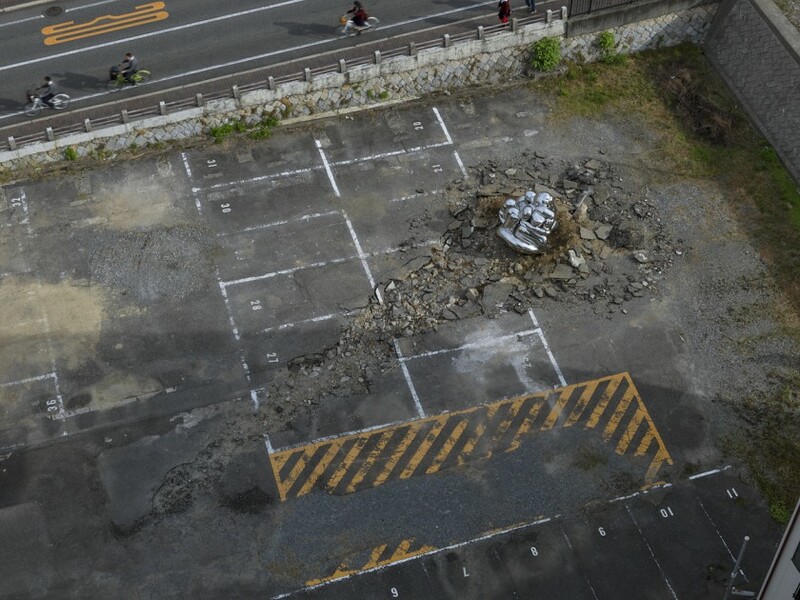 It enabled visitors to arrive at Okayama Art Summit in merely 15 minutes on foot from the station. Another phenomenal point worth mentioning is that organizing this was not too costly in comparison to other art festivals, due to the support we had. Museums displaying oriental antiquities opened their doors to showcase their permanent collection next to contemporary artworks by artists such as Robert Barry, Peter Fischli and David Weiss, and Lawrence Weiner. 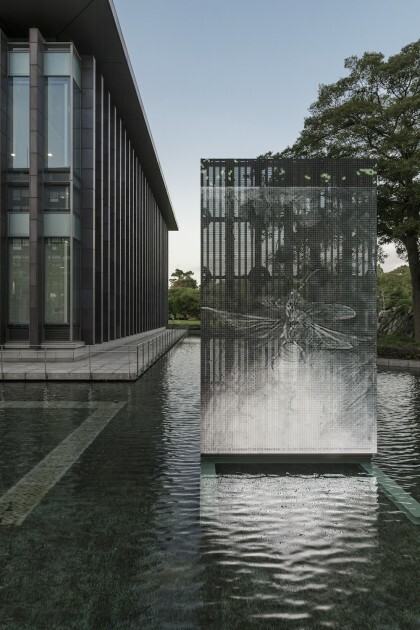 The historical site of Okayama Castle which dates back from 1597 (replicated in 1966) also displayed artworks by Argentinian-born Rirkrit Tiravanija and Cuban-American Jorge Pardo, juxtaposing different types of international art, boldly yet so naturally. A mix of cultures made it all the more worthwhile. Around 20 members of the foundation of Museum of Contemporary Art San Diego came from the US. 20 members from the Isamu Noguchi Foundation from New York, and 30 museum members from the Mori Art Museum. I believe this was a great turnout for our summit’s inauguration. Last year’s theme was “development.” Do you have the theme for the next summit? We will announce it this winter. Ryan Gander, Because Editorial is Costly, 2016. Collection of Ishikawa Foundation. Courtesy of the artist and TARO NASU, Tokyo. © Okayama Art Summit 2016. Photo: Yasushi Ichikawa. Okayama is very affluent in the arts from earlier generations. Did this affect your interaction with art from a young age? Ohara Magosaburo, the founder of the Ohara Art Museum made a lasting impact through his institution. Then Soichiro Fukutake, the founder of the Fukutake Foundation, inspires us today with his art Mecca that Benesse Art Site Naoshima has become. And as I consider myself the next generation, I established the Ishikawa Foundation. To be honest, I feel it’s an intriguing coincidence that in this one city alone, three consecutive like-minded patrons emerged and lead the growth and potential of art and culture in Japan today. It’s almost a miracle! Are the artists you want to support more domestic, Japanese artists or foreign artists?Currently more focused on foreign artists. In your foundation, do you have any focus on supporting Japanese culture or artists? I will not favor Japanese artists. I want to nurture conceptual artists around the world, who will in the future exhibit their work in world-class museums, such as MoMA, Tate, Centre Pompidou. This is my main focus. I don’t want to just support Japanese artists because we are a Japanese foundation. I wish to engage with conceptual artists with a global caliber. 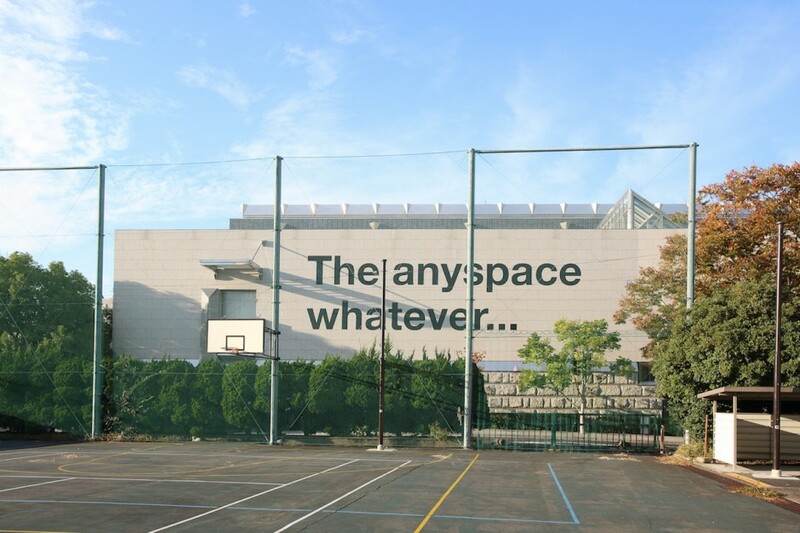 Liam Gillick, theanyspacewhatever, 2004. Courtesy of Imagineering Production Committee, Casey Kaplan, TARO NASU. Photo: Koji Ishii. I had a recent discussion with Ryutaro Takahashi and Hideaki Fukutake, two of the most influential collectors of Japan, regarding the future of Japanese contemporary art- and they were both emphasizing their deep concern. The next generation of Japanese contemporary artist is severely under-developed. Are you worried about this? This is because there aren’t many collectors or curators who are knowledgeable about conceptual art in Japan. It’s all relative. If active conceptual art collectors existed, more artists will emerge as a result. Europe and the US are so much stronger in this sense, as they have supportive galleries and institutions. Even in China, Singapore and ASEAN countries, we are beginning to see a rise in conceptual artists. 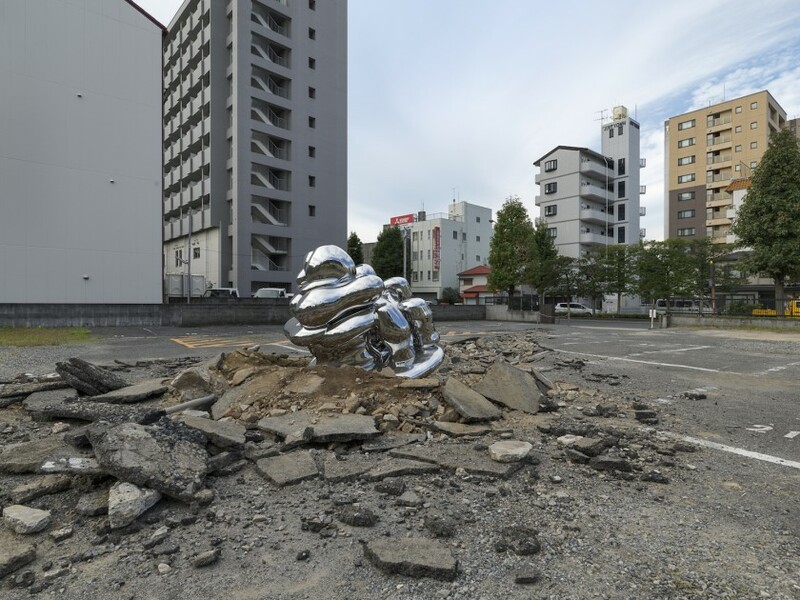 However, in Japan, conceptual art is still very weak. It’ll be wonderful if a Japanese artist comes into the picture organically, but it can’t be forced. I don’t want to incubate, I don’t want to “buy” young Japanese artist. How do you identify an amazing, “world-class” work of art from others? I believe that we don’t need artworks that are copycats. So it really depends on whether it’s new or not. By that, I mean if the concept is new or not. Right now, if you look at Europe, there are many artworks inspired by modern algorithms and technology. Looking at ASEAN, they are focused on politics and current events. In the US, many take a new approach, especially in the field of video and digital art. For example, one Asian artist I like is Danh Vo. He has a very new approach to art, using cardboard as his media. I’ve never see this before! Furthermore, his background, his experience, and consciousness towards the US and war is unique and excruciatingly current to our times. Can you name some of your favorite artists? Liam Gillick whom I’ve appointed and worked closely with for our art summit. From France, Philippe Parreno, I really like his neon light works. 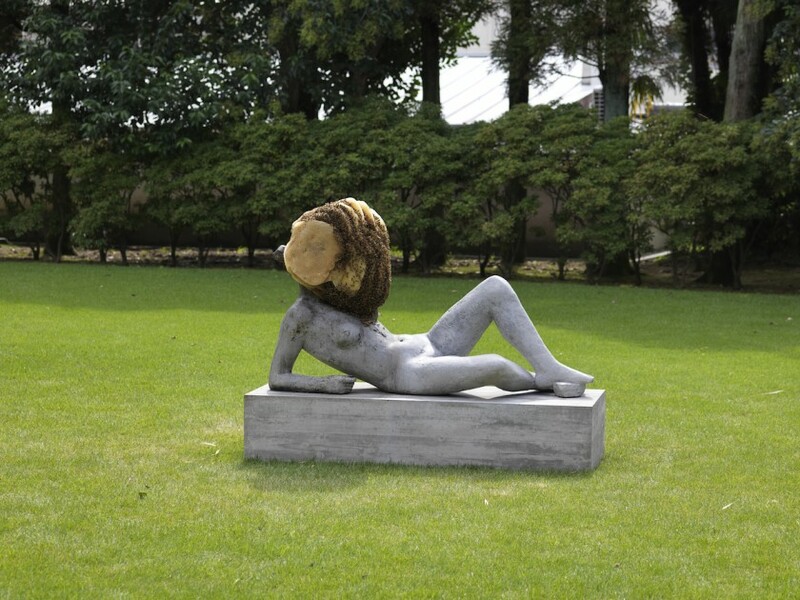 Also, one artist I’m taking notice of is Pierre Huyghe. Looking at younger artists, Ryan Gander from the UK. And from Asia, Danh Vo. Ryan Gander, Make everything like it’s your last (Charlotte), 2014. Collection of Ishikawa Foundation. Courtesy of Imagineering Production Committee, TARO NASU. Photo : Koji Ishii. How about Japanese contemporary artists? A Japanese artist, Shimabuku has a very interesting approach. 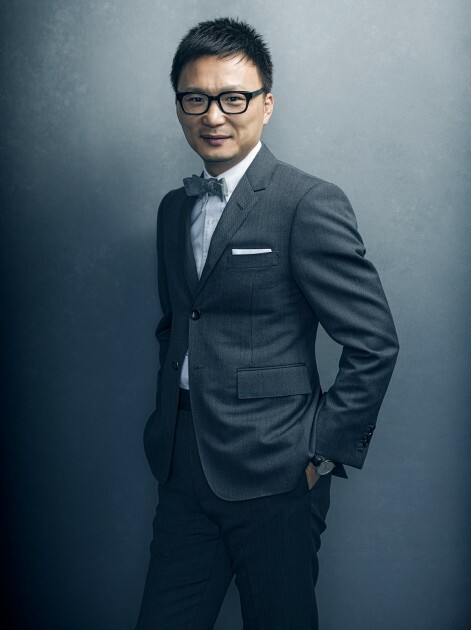 His work focuses on multiple studies of cultures around the world, and the interaction between them. He further explores the relationships within each community and offers a different perspective of their everyday lives. We collect some of his artworks. In 2014, you presented your collection in the exhibition “Will Happiness Find Me? – 10 Artists from the Ishikawa Collection” publicly. Can you please tell us more about the motivation behind it? 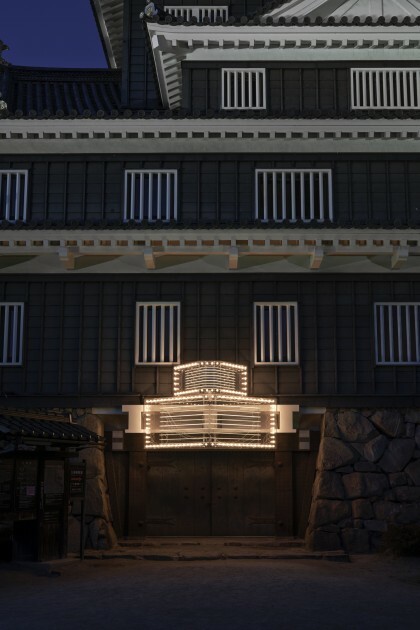 This was the first exhibition to present the Ishikawa Collection to the public. I displayed all the artists I mentioned above except Phillipe Pallerno. This exhibition at the Tokyo Opera City Art Gallery in Shinjuku, Hatsudai showed how Ishikawa Collection is comprised of very unique, eclectic artworks within the conceptual art scene. The collection displayed was not necessarily easy to grasp; it was not intended to be a general “crowd pleaser”. Instead, art specialists, advocates, and the likes were intrigued and evaluated the exhibition very highly. I think it was a very difficult lineup for the public to understand. Philippe Parreno, Marquee, 2014. Courtesy of Imagineering Production Committee, Esther Schipper. Photo: Yasushi Ichikawa. Do you have plans for future public exhibitions yet? In 2019, Okayama Art Summit will be held again. We will announce the artistic director of the event by the end of this year. I believe it will be held around October and November again. Do you have any plans on exhibiting your artwork overseas in the future? Not overseas but I am planning on building a museum in my hometown Okayama. I want to create the most influential conceptual art museum in the world. When are you planning on completing this? In less than a decade from now. Is this something you had in mind for a long time? Yes. I began thinking about building a museum around two years ago, and it will require 8 years or so to complete. A decade for the actual realization. Every artwork is important to me but if I had to choose, it is undoubtedly On Kawara’s artwork, that became the roots of my art collecting. I will treasure it forever. What are your favorite art destinations? Inujima Island, part of the Benesse Art Site Naoshima. I really admire how it integrates both old and new concepts. It includes the heritage of Japanese modern industry. The Seirensho Art Museum designed by architect Hiroshi Sambuichi, is a renovated copper refinery and is powered only by solar, geothermal and other natural energy. The charm of this island is also in its compact size. Ironically though, the overwhelming energy and passion I feel from proud residents is undeniable, and something I’ll never forget. The people are also part of the beauty. When I was in middle school, I used to camp at Inujima. This is where I used to fish! So this island also holds my childhood memory. My favorite museum is Kunsthaus Bregenz in Bregenz, Austria. I also enjoy going to MoMA in New York. I want them to surprise the world and also take pride in their own roots. Art holds the possibility of changing the world, so it should deliver a strong message. It’s a medium for communication crossing borders and languages. It’s equally vital that artists today create artworks that people dislike and reject- to trigger emotion, stimulate conversation, and broaden one’s outlook. Liam Gillick, Development, 2016. Collection of Ishikawa Foundation. Courtesy of the artist and TARO NASU, Tokyo. © Okayama Art Summit 2016. Photo: Yasushi Ichikawa.